Prev Halloween is Not Just One Night of Fun for Toddlers Next Meringue Ghost Spider Treats for Halloween! For each bat favor container you will need one toilet paper roll. These rolls can be recycled from your home or found at a craft store. 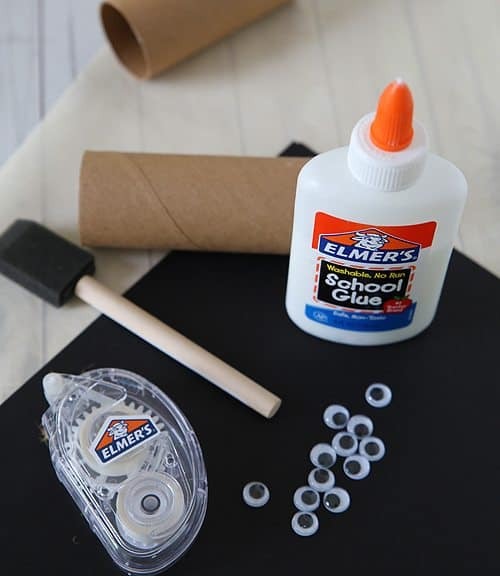 You will also need black paint, a foam paint brush, googly eyes, black construction paper, a tape roller or glue and scissors. 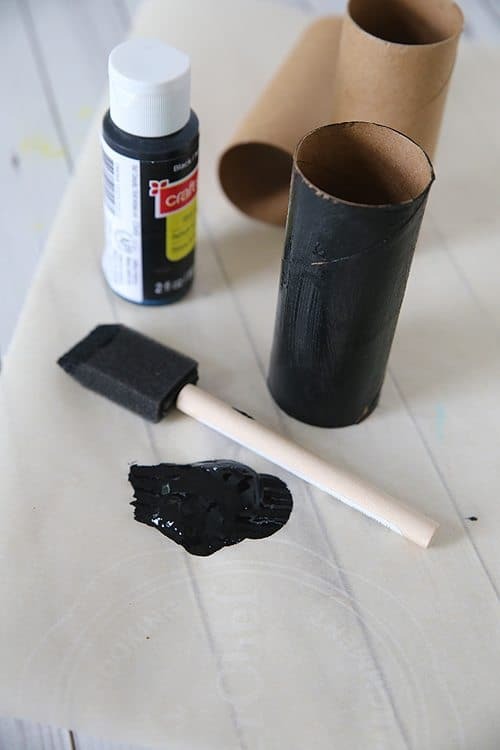 Paint the cardboard toilet paper roll and allow to completely dry. We used acrylic paint but washable tempera paint also works. 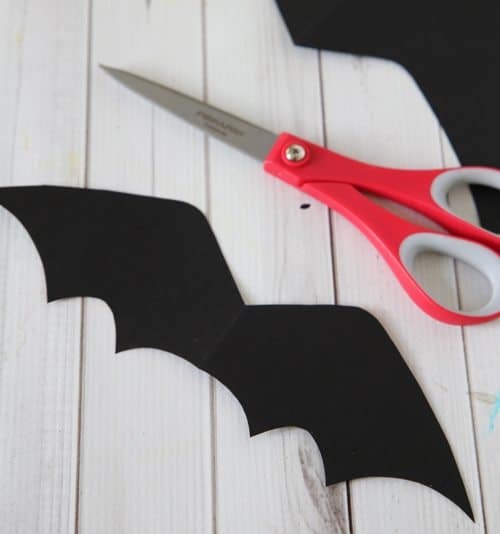 Cut out a bat shape wing. Fold the paper in half to make it easy to cut the wings symmetrically. Kids will actually be able to do this quite well and give each bat it’s own unique personality. If you have a more timid crafter a template can be cut to get them them going. 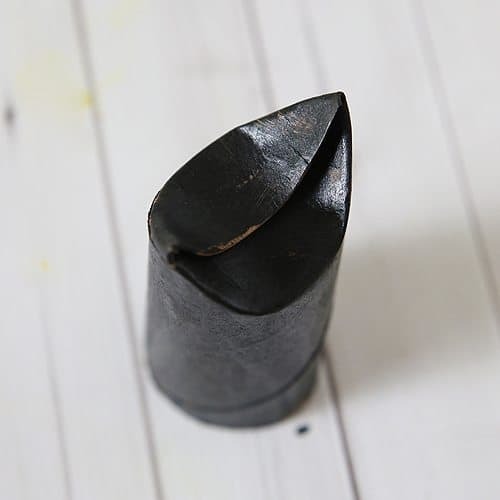 Once the toilet paper roll has dried, fold in the top edges of the toilet paper roll. 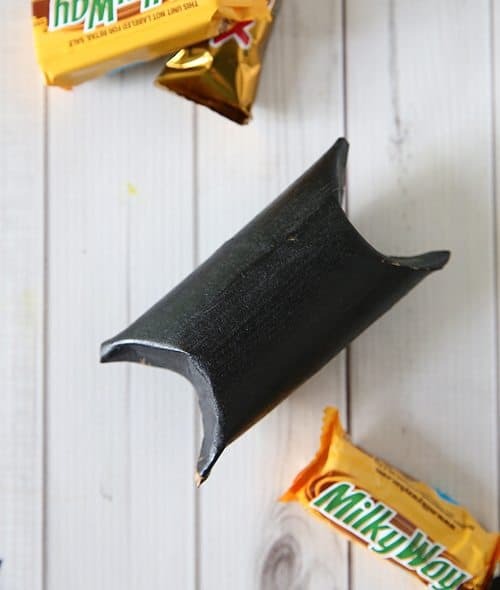 Put a piece of candy inside and then fold in the bottom edges of the cardboard tube. Use the tape roller or glue to attach the wings to the back of the cardboard tube. 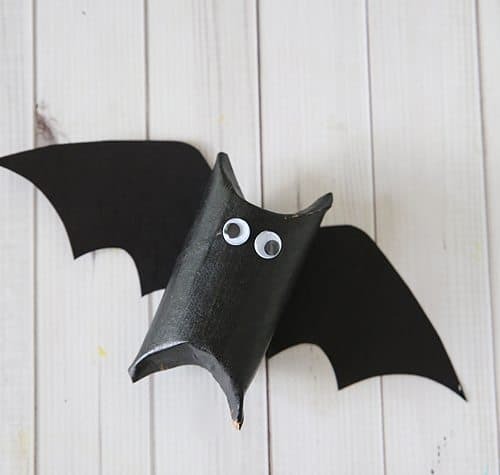 Glue on the eyes and you have one cute party favor bat!